Roman Catholics certainly will identify this “The Popes Against the Jews” series as falling within the realm of “outside the circle” – that is, it is not a “doctrinal” issue. But as was shown in the last posting, Roman Catholic councils in the 1200’s specified certain forms of treatment of the Jews that lasted into the 20th century, and that were fostered by the official Roman Catholic Church all along. 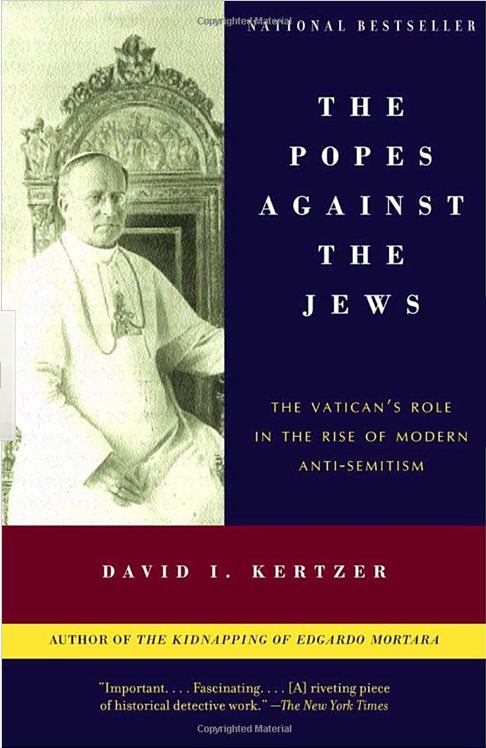 In his introduction, Kertzer notes, “the legislation enacted in the 1930s by the Nazis in their Nuremberg Laws and by the Italian Fascists with their racial laws—which stripped the Jews of their rights as citizens—was modeled on measures that the [Roman Catholic] Church itself had enforced for as long as it was in a position to do so” (9). But Roman Catholic involvement extended far beyond mere laws. It was Roman Catholic practices that led to the shaping of public opinion, public holidays, public traditions, public festivities. We’ll soon see remnants of this even today, as Mardi Gras and Ash Wednesday are soon to come upon us. Unfortunately for the Jews, one of Carnival’s [that is, the public celebrations prior to Lent] most popular features was the ritual degradation of the people of the ghetto. Among the first historical references we have to such rites is a description from 1466, when for the amusement of the Romans, in festivities sponsored by Pope Paul II, Jews were made to race naked through the streets of the city. A particularly evocative later account describes them: “Races were run on each of the eight days of the Carnival by horses, asses and buffaloes, old men, lads, children, and Jews. Before they were to run, the Jews were richly fed, so as to make the race more difficult for them, and at the same time, more amusing for the spectators. They ran from the Arch of Domitian to the Church of St. Mark at the end of the Corso at full tilt, amid Rome’s taunting shrieks of encouragement and peals of laughter, while the Holy Father stood upon a richly ornamented balcony and laughed heartily. Two centuries later, these practices, now deemed indecorous and unbefitting the dignity of the Holy City, were stopped by Clement IX. In their place the Pope assessed a heavy tax on the Jews to help pay the costs of the city’s Carnival celebrations. But various other Carnival rites continued. For many years the rabbis of the ghetto were forced to wear clownish outfits and march through the streets to the jeers of the crow, pelted by a variety of missiles. Such rites were not peculiar to Rome. In Pisa in the eighteenth century, for example, it was customary each year, as part of Carnival, for students to chase after the fattest Jew in the city, capture him, weigh him, and then make him give them his weight in sugar-coated almonds. In 1779, Pius VI resurrected some of the Carnival rites that had been neglected in recent years. Most prominent among them was the feudal rite of homage, in which ghetto officials, made to wear special clothes, stood before an unruly mob in a crowded piazza, making an offering to Rome’s governors. It was this practice that occasioned the formal plea from the ghetto to Pope Gregory XVI in 1836. The Jews argued that such rites should be abandoned, and cited previous popes who had ordered them halted. They asked that, in his mercy, the Pope now do the same. On November 5, the Pope met with his secretary of state to discuss the plea. A note on the secretary of state’s copy of the petition, along with his signature, records the Pope’s decision: “It is not opportune to make any innovation.” The annual rites continued. How can a “tree” such as the Roman Catholic Church, which produced such fruit as I’ve described in detail in these last five posts, also be said to have produced “the pure doctrine of the faith” which the gloriously infallible, papally-led Roman Catholic Church, “the Church which Christ Founded,” has put out, which we see in the form of promulgations on “the seven sacraments” and “transubstantiation” and papal supremacy, and the Roman doctrines of purgatory and penance [with its ties to mistranslations in the Vulgate, whatever the source and nature of them], the entire Roman Catholic doctrine of justification, the corresponding anathema of the Gospel of the New Testament, the Immaculate Conception of Mary, “papal infallibility,” the Assumption of Mary as a dogma, the liberal infiltration of Vatican II (at least the Protestants rejected liberalism in its own ranks), a soon-to-be-beatified Pope who denied Roman involvement in the brutal treatment and murder of the Jews (even though he lived through it), and finally, a pope quoting Teilhard de Chardin to the effect that “the world itself shall become a living host, a liturgy. This is also the great vision of Teilhard de Chardin: in the end we shall achieve a true cosmic liturgy, where the cosmos becomes a living host”? Yes, as Dei Verbum ironically notes, there is truly “one source” for these two wellsprings – the uniquely Roman Catholic doctrine and the equally uniquely Roman Catholic treatment of the Jews. By the way, I was recently taken to task for my comment to the effect that "The Roman Catholic Church has been the most criminally-offensive organization of the last 1000 years." This series also speaks to that. "Yes, the Jews should be stripped of their rights as equal citizens." A note: it was not until the 19th century that Jews got "rights as equal citizens" in Anglican England either. The point being, conservative Protestants should not too eagerly tout the anti-discrimination ideology of liberalism just in order to bash Roman intolerance. People like Luther and Calvin were hardly models of PC-modernist libertarian tolerance. In fact, only those Protestants who are ready to COMPLETELY renounce the Constantinian legacy of Christian state churches (I am not sure if I myself can) can consistently criticize ALL the forms of official discrimination against Judaism - or any other non-Christian religion - seen in pre-modern Christian countries. I am presenting this thing in stark terms, the way I see it. I am not content at merely scoring cheap debate-points by pointing out that naughty lack of liberal tolerance within pre-Vatican II Romanism. Once one adopts the dogmatic liberal principle of non-discrimimation, you no longer can oppose things like legally forcing Christian businessmen to serve openly homosexual customers, for example. Hi Viisaus -- I am certainly not totally up to speed on all of this, but considering the world into which the Reformers were born, it is no wonder that some of them ended up being tarred with some of this. Still, names like Reuchlin and Osiander and Melancthon were very much outspoken against these things, and Oberman points to "late sermons of Calvin" that recognized "a growing sense of the hidden community of fate shared by Christians and Jews in their homeless state of persecution and diaspora." Viiaus notes, "it was not until the 19th century that Jews got "rights as equal citizens" in Anglican England either." But did the Anglicans force the Jews into ghettos? Were the Jews made to run naked through the streets of London? I think the answer to those questions makes John's point. So, when we see that we are the same as the Jews, we know that we are the same as the Jews, we have a mirror to know our rebellion against God. However when He chastises us harshly, will we be able to say that He has not waited long enough? That to our own detriment we have shown ourselves to be incorrigible to the end? Thus, when we read this passage, let us learn not to condemn the Jews but ourselves and to understand that we are not any better, and that if such brutality (ie, disobedience) which the Word of God has not served (to rectify) (back in the Jews' day), today there is as much or worse (as during the time of the aforementioned Jews). Personally I think "the Papacy" and the whole Roman "System" should be held responsible for much (if not most) of the organised anti-Semitism and atrocities committed by the Inquisition against Jews and non-Jews previous to Hitlerite Germany. Not only that the same Papacy and Roman institution should be held accountable for the sexual misconduct it has perpetrated. Yeah, after struggling with a bunch of french texts last year, Rho lets it slip he knows French. I suppose I will respond, John, on behalf of the Catholic position. In the process I will touch on many topics, as I enjoy dialogue, I enjoy your blog, yet I do not imagine I will post here often if at all. I will start by saying that I am not going to offer any rationalization behind why those acts, if indeed true, were done. There is none to be given; they were intrinsicly evil. End of story. To be frank, I have yet to see a written treatise on this matter that could not be called polemical in nature. I am sure I can find scholarly works from secular sources that do not support the writer of this work regarding the grander "context" of the historical situation, just as one can find to the contrary. God writes poetry with the events of our time, and yet these same events can be used to serve any point of view. I served in Iraq and have seen first-hand how my platoon's activities one day were portrayed by reporters as evil; and John, perhaps they were. I don't know. I know that they happened, I know that I was there. People have deemed themselves the judge of the very history that God created, and while it is our natural inclination to do so, I'm not sure that I myself am qualified. I believe my platoon was right and true, John. I don't know if what happened was. People will argue about that event either way. I feel even less qualified to speak on these events of anti-semitism, because of this simple fact: I wasn't there. And if I can't even say with certainty that I know what happened that day in Iraq that I was physically present for, I hardly think I can say that I have a handle on a dizzying array of interlocking historical realities and perspectives regarding the Church and anti-semitism at some point deep in history. This same concept applies, for myself anyway, regarding the Reformation. 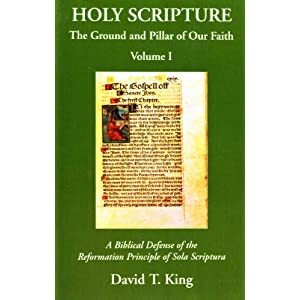 The facts about the Reformation are not clear cut on either side, Luther and Calvin were absolutely brilliant fallible men, as were the theologians opposing them. And here's the fact: I wasn't there for that either. I can only hope that I can ask these men in person one day, as only God is the judge of us all. Individual acts can be deemed intrinsicly evil, and yet only God judges them. We can only affirm what revelation reveals for us. And yet as more people, time, viewpoints, ideologies, etc are thrown into the mix, it becomes less clear how to rightly appraise any moment in history. Thousands of books can be written on an event that took place in five seconds, and they can perhaps all be true to someone, and yet only God judges rightly at the end. I appreciate your boldness in confronting Catholics with our past sins that it may seem we refuse to acknowledge. This is not a bad thing, and yet I would caution against basing such rightfully strong assertions on what one "knows" about history. Can we ever truly know as God does? For this reason, I do not see the Catholic position of "having correct dogma but evil people" as a cheap apologetic safety hatch at all, simply because it seems quite true to history. History is simply too complex for such accusations of the "Church being responsible." Now is the Church responsible for anti-semitism? Absolutely. In some way, she is. Anybody, Catholic or otherwise, who argues to the contrary is a fool. But how does one determine the responsibility? Is it due to dogma? Inherent evilness? Human nature? One can also include Protestants, Nazis, Zionist, anti-Zionist, Orthodox Jews, liberal Jews, Arabs, the list goes on. Any claim that "oh well, one side definitely was the main reason" strikes me as a bit shallow. What about the Sacred Gospels themselves? Have they not been condemned as anti-Semitic? And yet before the Gospels were even written, the event of the crucifixion of our Holy One happened. Is this event anti-semitic? Arguments abound on both sides, and yet the event is God's poetry, and He has told us it's truth; He is the judge. Your position about the fruits of the tree is a potent point, and yet I must say, I am surprised when Christian denominations level an argument that is so easily self-applied. Is this not said of us as Christians as a whole? I imagine the same was said of the Chosen People by the pagans they were to bring the truth to, who even God referred to as stiff-necked. Where were the fruits? The remnant of Israel and the ingathering of the ten lost tribes with the Gentiles? Is the Reformation argument essentially one of Remnant theology, where the Church essentially separated themselves from the true Church, who were the Reformers? What then of the denominations after them? The trite explanation of Catholic unity is often rightly ridiculed, and yet is saddens me....there is really so much diversity in the larger tent....Thomists, Traditionalists, neo-conservatives, liberals, etc.....the same as in the protestant camp, that I wonder if the Reformation's reason for happening was not a bit too far in the opposite direction. I never saw the Reformers as wrong. They were against the unspoken tradition, but they were not wrong, until Trent laid down a line that they chose to then cross. This is my humble opinion with a Catholic bias, so take it with a large grain of salt. However, I feel they were wrong when they left. How infected was Israel with sin? And yet did the faithful Levites leave? Did Moses leave? Did he say the mythical words "here I stand" and then proceed to walk away? Or did he tell God that God would have to kill him with his people, and let God determine the outcome? In my heart, I love Luther. I love Calvin. I absolutely adore all the men of that time that believed so strongly in what they believed was the truth of Christ. If, say, for hypothetical argument, Catholicism is definite truth, and Luther and Calvin found out as such upon standing before God after death, I have no doubts whatsoever that they would believe without question, and God would judge accordingly. Why? Because I believe they wanted the truth, wherever it may take them. And yet, I can't truly say, because I wasn't there. I don't fault the men, I fault them for their exit. Is it so different today, when men within Catholicism argue for their particular brand? Does it merit such a heartbreaking schism? To end with, it says by your fruits you shall know them. The Pharisees were Jewish, does this mean Jesus condemned Judaism? Was Jesus not a Jew? Do we not in some way judge Jesus himself as the fruits of Israel rather than the wicked in the desert? However one chooses to exegete passages about the sheep and the goats, or regardless of how one wants to get into dogmatic differences between Catholics and Protestants, this greater question is equally potent across the board. Is God responsible if we choose evil? In my view, I say no. We choose evil, and we are judged rightly for our action, even though God is perfect and yet our creator. How can this be? Are we not the fruit of God? Yes. I will not say this is not a mystery. God never seems to deny our right to represent Him, yet He will judge us if we do not. Jesus sanctifies His bride, yet we conversely can profane the Body of Christ. I would say that this "by the fruits" argument is a Christian problem, not merely a Catholic one. For these reasons, I do not accept the over-arching philosophy of this series of posts on the matter. That being said, I ask forgiveness for what has happened to the Jews. This goes for the protestants, the atheists, and anyone else I'm missing. There are no excuses, either way. Nate, I want to thank you for stopping by here at Beggars All, and for your thoughtful responses to the things I've been posting. I also want to thank you for your service to our country and the personal sacrifices you made in the process. I want to say, too, that I understand your desire to respond on behalf of "the Catholic position" -- having spent most of my life as a Roman Catholic (I am 51 now and probably spent close to 40 of those years as what I'd consider to be a devout Catholic), I understand the sense of reverence you might feel, and the awe, and desire for unity, as you've mentioned. But there are a couple of things that need to be pointed out here. You are correct that "we do not ever truly know as God knows." But do know things truly and truthfully. God gives us human minds -- we are created in his image. We do not know exactly as he does, but we know analogically -- there is some correspondence between what he knows and what we know. The world is not nonsensical. There is right and wrong, and we are not only supposed to know it, but we will be accountable for it. And I'm sure you have come face to face with situations in which you must make a decision. Some decisions must be made in a split-second. If you, as a soldier, in the midst of some street fighting, break into a building and are faced with a situation, you know that you must make a decision. If there is a grown man standing there with a weapon aimed at you, you make one decision; if there is a woman and crying children, you make another decision. You don't know with absolute certainty at the moment, but there are rules of engagement, and you follow those rules, and afterwards, the investigators look at the evidence and try to piece together some of the details that you did not have access to "in the heat of the moment". History is certainly of a much slower nature than that. But there is still a commitment to piecing together the details and understanding, or trying to understand as best as we possibly can, "how things looked to those we study," in the words of one historian. And yet, as much as we rely on history, we are not "pure, detached historians." We are human beings, living our lives, and finding ourselves needing to make decisions as we go along. With that being said, first of all, keep in mind what the Roman Catholic Church has said about itself, and look then at how your own responses here have differed from what that institution has said. First of all, without going into a long discussion about what Rome says about itself, I've put together a posting that attempts to summarize, using Rome's own words from the document Lumen Gentium, "The Dogmatic Constitution on the Church". The Roman Catholic Church makes some very bold, very definite statements about itself. You noted, "I have yet to see a written treatise on this matter that could not be called polemical in nature." And yet, this Roman document (following centuries-worth of other, similarly-crafted documents), makes some very bold statements and you, the reader (if you are a serious human being determined to be serious about a very serious topic) are compelled to make a decision. You have burst into a room where a decision must be made, and you must make a decision. This is an institution which is not shy about telling you that it, and it alone, has the authority to speak the words of Christ ["God with us"]. Others may say truthful things, but "We, here, within this institution, with our "visible delineation" are the ones through whom "He communicated grace and truth to all." That's a very bold statement. And on another, very serious topic, in fact, its own official statement on this topic, one which was intended to discern its own responsibility in this matter, that institution has said, "Thus we cannot ignore the difference which exists between anti-Semitism, based on theories contrary to the constant teaching of the Church on the unity of the human race and on the equal dignity of all races and peoples, and the long-standing sentiments of mistrust and hostility that we call anti-Judaism, of which, unfortunately, Christians also have been guilty." You, as a soldier, were trained to look at a situation and to discern some pretty sharp distinctions and to respond in an instant, based on those distinctions. Here, in this document, it not only denies responsibility for these events, but it maintains that "its own constant teaching" was somehow completely contrary in these matters. You have said, Now is the Church responsible for anti-semitism? Absolutely. In some way, she is. Anybody, Catholic or otherwise, who argues to the contrary is a fool. What you have said here does not square with what the Roman Catholic Church has said about itself. In some way, you must either admit that you are putting yourself above "the Church" and sitting in judgment on it, or you must submit yourself to the judgment of "the Church" and acknowledge that the distinctions they are making are correct and even Godly distinctions. If you were asked to think this through a little bit more closely, which direction would you go? I would trust the teachings of the Body of Christ and look deeply into the matter. I understand your analogy, and I am not saying it doesn't have merit. However, just as we both agree that the events of history can happen quickly, I think we can also agree that one must be careful when looking back into history. We have the advantage of time, John. I understand that you are Reformed, you understand that I am Catholic. However, I have noticed previous statements in your topics to the effect that you are essentially "catching up" on this portion of history. You have a righteous sense of horror and indignation at the sins of the Church, but I humbly submit that you don't have the whole story. I have had my assumptions on the Reformers pleasantly challenged many times by James Swan, whether he realizes it or not. I can respect these men of the Reformation greatly even though I believe they were dead wrong. I would ask you to extend the Catholic Church the same courtesy in this matter. Challenge your own presumptions, if nothing else for the sake of truth. Maybe you will find yourself correct, maybe not, but at least allow the other side to speak. Unfortunately, I am not knowledgeable enough on the matter to provide you with any historical "meat" myself; it isn't my chosen area of expertise. I will say you have challenged me to at least look into the matter, and for that I thank you. Regarding the actual words in the link you provided, I must point something out to you. As a former Catholic, you are well aware of the uniquely Latin penchant for being very particular with our wording. This makes it even more crucial, I feel, not to make an instant decision without careful reading and digestion. It strikes me in the link you provided, that the Pope does not deny anti-Judaism on the part of Christians. However, his reflection is less on the nature of the wide range and scope of anti-Jewish sentiment rather than the Shoah in particular. I believe he is correct in stating that there were different reasons for persecution, and that the Shoah itself was the result of a largely neo-pagan, secular form of persecution. I noticed in the posting about Hitler that a parallel was drawn between Church teaching and Hitler's actions; Hitler having used the idea of a "big lie." However this argument only has merit, John, if one takes as a presupposition that Catholicism is a "big lie." That is beyond the scope of this thread and so seems to me a bit tenuous of a position to hold on to for this assertion. It would place someone in the unenviable task of pointing to anywhere in the Magisterium that they feel is conducive to a theme of anti-Semitism. The only dogma I am aware of that has been said to lead to anti-Semitism is the idea of the abrogation of the Mosaic Covenant, and yet Protestant and Catholics hold this in common. The Church's Magisterium is out there; it is defined. I don't really believe that the teaching is the issue; I think it is the actions. This essentially leaves us right back where we started. I tend to speak of a closer relationship between Christians and the Church they represent; the Pope in his writing tended to separate them. Neither view is incorrect. We are so closely intertwined with Christ that St. Paul can refer to Christ as the head of the one body, and yet makes reference to other Christians as parts of the body found only on the head. On the other hand, we are essentially creatures that are completely raised up by His Grace. I cannot fault the Pope for focusing on this creaturely distinction more than I choose to. I am not the earthly representative of Christ, I am merely a man with a mouth, and I have no problem apologizing. My Church will, God willing, not be scandalized by my opinion on this matter; my influence is negligible. The Pope, however, has to be careful. Old scars abound, and people can misinterpret words and be scandalized. I do not envy the position he was in. The question, again, I believe applies to all Christians: Can the Body of Christ truly be held accountable? In the mystical sense, John, no. In the human sense, yes. In the teachings of truth, no. In the acting out of that truth, yes. We are sanctified; we are somehow perfect in Christ, and yet we are prone to sin. It's a Church made up of thieves, sinners, whores, murderers, and Charlatans. And yet she is the spotless Bride of Christ. This applies to you as well, John. This mystery is deeper than I care to fumble with in words. I have enjoyed our dialogue, and I pray and trust that you will have a blessed day. Nate, I'm running off to work, and I may not be able to give you a more thorough answer until this evening. But it doesn't look as if this thread is going to be over-run with responses in the meantime. It's only fair to acknowledge (which you might have done, I admit--I did not have time to read through the whole series) that there are some pretty thoroughgoing criticisms from academics, rabbis, and generally fair-minded Catholic commentators (at First Things). Sorry, it appears that the essay by Dalin is only for subscribers. John Paul's "scores of apologies" always seemed to be blaming "the children of the Church," without "the Church" ever having had to take responsibility for its own actions. The "compelling"-ness that you are describing exhibits all the same avoidance of responsibility that an alcoholic exhibits when describing why he had to have his next drink. Oh, and by the way, I led off with the First Things review of the book. Well, insofar as the Church is Christ's Body (not necessarily a peculiarly Catholic claim), it is the pure Bride of Christ, etc., etc. But I don't think most serious Catholics would have problems acknowledging that popes, cardinals, bishops, priests, and Catholic laity have historically been involved in terrible, shameful, scandalous sin. What more do you want? I'm glad that you led off with some of the critics of The Popes against the Jews. As I said, I just didn't have the time to go through the whole series. Somewhere it would be nice to make the equation that "popes, cardinals, bishops, priests, and Catholic laity [who] have historically been involved in terrible, shameful, scandalous sin, that these folks ARE "the Church". Otherwise, it's a blank check (as we have seen) to get away with all sorts of evils, without having to take responsibility. How is that a blank check? Strange. OK, we'll try again: As an institution, the Catholic Church has been involved in scandalous, wicked acts. How about that? I'll be happy to re-word things up to the point where I have to admit that Ephesians 5:26-7 is false. I'll even acknowledge that this is fundamentally an eschatalogical reality, though there is always an "already" linked to the "not yet." I'll qualify my remarks by noting that, for all Christians, the notion of collective guilt or social/institutional sins is problematic, right? OK, we'll try again: As an institution, the Catholic Church has been involved in scandalous, wicked acts. How about applying that to this particular situation: The Roman Catholic Church, as an institution, is responsible through its decrees and practices (conciliar decisions, infallibly pressed upon a population which must "receive with docility" its teaching) for creating, fostering, and nurturing an environment in which not only "religious anti-Judaism" could grow and thrive, but where the malicious "anti-Semitism" could grow and thrive and flourish. Except when "the institution" is, authoritatively, over a period of centuries, creating a situation that results in the collective attitude of a regime which had a ready-made scape goat for just some of its plans, which resulted in the bloody death of six million European Jews. What, after all, was Hitler's regime, if it wasn't the people (Hitler and his henchmen) shaped by their ideology? And what, after all, is the "Roman Catholic Church" if it's not the people (popes, bishops, etc. ), shaped by their "teaching"? [Which, as I've demonstrated, quite clearly recommends the singling-out of the Jews and the visible separation from them? I'm not convinced that the evidence shows Church officials to have directly cultivated the racialist anti-Semitism. Nevertheless, did the attitudes about Jews based on their "stubborn unbelief" and the encouragement in certain times of Jews being separated from Christian populations, etc., serve as a kind of precursor or "backdrop" to the malicious, violent anti-Semitism? I think that I would agree with that, as long (again) as we don't stack the deck entirely by forgetting the popes, bishops, and priests throughout history (probably--sadly--not the overwhelming majority) who defended the Jews against these attitudes and more so against violence. You must know that your rhetorical question, "what is the Church besides the people," trades on an equivocation. If the Church is being defined simply as the collective of officials and laypeople in communion with the Roman See, then any historically informed Catholic would acknowledge the sinfulness. To the extent that there is collective guilt or are social sins, then the Catholic Church in this sense has been guilty of them. But if we are taking a more theological view of the Church as the Bride of Christ (Eph. 5:26-7), then the conversation has to change. But it would be terrible hubris to say that the concrete manifestation of the Catholic Church in our world--from the popes to the people in the pews--participate with any completeness in that splendor which is without stain or wrinkle. I'm not sure why you seem to be unwilling to allow a Catholic to agree with your fundamental point. Isn't it your goal to persuade people to the truth? Or is the goal simply to perpetuate the disagreements for their own sake? First of all, the "generally fair-minded" commentator at First Things conceded that what Kertzer wrote is historically accurate. You should know that before you go off not being convinced not convinced that Church officials directly cultivated the racialist anti-Semitism. Second, what's at question in this very series is the distinction (defined and maintained by the official Roman document) between "religious anti-Judaism" and "racially motivated anti-Semitism". According to the "generally fair-minded" commentator at First Things, Nazism owes "precisely nothing" to the "Roman Catholic Church and its teachings." We are talking about a papally-sanctioned document that self-admittedly "cannot ignore the difference which exists between anti-Semitism, ... and the long-standing sentiments of mistrust and hostility that we call anti-Judaism," of which, unfortunately, Christians also have been guilty. We deeply regret the errors and failures of those sons and daughters of the Church…. You are the one trading on an equivocation. You want a "visible hierarchy" but that "visible hierarchy" never has to be responsible because of a theological reading of Ephesians 5:26. But there is another theological reading of Ephesians 5:26 that does not rely on your "visible hierarchy" doctrine that fully permits "the church" not only to take responsibility for, but to repent of its own sinful behavior. It is Rome's thoroughly unbiblical doctrine of the church that has put it in a position to make these nonsensical claims that it is not responsible in this. Compare that with Rome's response in this situation. The visible hierarchy should take responsibility for sins that it commits and should acknowledge the ways in which it led to sin of others. I've basically made that point multiple times. Why are you unwilling to have a normal conversation? I'm not convinced that the evidence shows Church officials to have directly cultivated the racialist anti-Semitism. Be convinced, Matt. The evidence allows no other conclusion. Kertzer's source for his work was the Vatican archives and official publications of the Vatican, primarily from the 19th and early 20th centuries. I think that I would agree with that, as long (again) as we don't stack the deck entirely by forgetting the popes, bishops, and priests throughout history (probably--sadly--not the overwhelming majority) who defended the Jews against these attitudes and more so against violence. But the Roman Catholic church is the one that stacked the deck, Matt. Not the historians that uncover the facts. Sure, there were heroic priests who helped Jews but they were acting against the official policy of Rome. I understand your sensitivity to the overwhelming nature of the indictment made by Kertzer through John Bugay, but their observations are not augmentations of history – they are merely descriptions of it! But it would be terrible hubris to say that the concrete manifestation of the Catholic Church in our world--from the popes to the people in the pews--participate with any completeness in that splendor which is without stain or wrinkle. But, Matt, that “terrible hubris” is the documented, official stance of the Roman Catholic Church. Pope Bonficace VIII's bull, Unam Sanctam (1302) – which to this day carries Magiesterial approval and has never been modified or rejected – says very clearly that “there is no salvation outside the Catholic Church.” Vatican I anathematizes anyone who would dare challenge the idea that the pope of Rome has immediate, primary jurisdiction over the whole church. So the official stance of Rome has been, for 700 years, that the “completeness” you describe can only be found within her borders. Your kind interaction is greatly appreciated. Thank you for your thoughtfulness. As I said, I don't have time to read through all of this (I really shouldn't even be engaging in this discussion), so can you point out to me where Vatican officials directly supported the notion that Jews as a race of people were inferior to other human beings, as it were, by their blood. Thanks. Giving them lesser citizenship, etc., etc., is wrong, but it is not necessarily racialist. It is religious disrimination. But my case really doesn't hang on this. I'm perfectly willing to acknowledge it if the evidence is convincing. Stacking the deck is leaving out the evidence that does not fit comfortably with one's case. I don't know much about the 19th and 20th centuries, but as an historian of the Later Middle Ages, despite the fact that there were terrible things done by Church officials, I know that popes were at least at times involved in protecting Jews, etc. That's all I was saying in regard to stacking the deck. But this is taking us off track. Even the most extreme form of papal supremacy is not the same as saying that the institutional Church of today fully participates in the splendor of the pure Bride of Christ. I am having a normal conversation. If the hierarchy won't take responsibility "in the name of 'the Church'", for "the sins of the Church", it is in serious denial. So do we disagree on this score? "You have suffered grievously and I am truly sorry. I know that nothing can undo the wrong you have endured. Your trust has been betrayed and your dignity has been violated. Many of you found that, when you were courageous enough to speak of what happened to you, no one would listen. Those of you who were abused in residential institutions must have felt that there was no escape from your sufferings. It is understandable that you find it hard to forgive or be reconciled with the Church. In her name, I openly express the shame and remorse that we all feel." He is asking them to forgive the Church, right? I understand that you won't accept the ecclesiological presuppositions here, but it's sad to see that theology as entirely insidious, as simply a way to cover up for immoral activity... I don't think that's a satisfactory reading of the history of Catholic ecclesiology. Matt, I'm going to attribute that statement by Benedict noting "It is understandable that you find it hard to forgive or be reconciled with the Church" to "mental reservation." No, it is not a clear admission of guilt on behalf of an officer of the Church for the sins of the Church. I haven't read all of that other document you linked, but it is clearly more of the same. "We ask forgiveness for the sins of the children of the Church". The problem with that is again one of deflection of responsibility. You've got Pius IX (for example) walking around saying "I am Tradition" in effect, not only the embodiment of "the Church" but specifically, "I in my office am the embodiment of Church Teaching". What, then, is a pope who is forcing Jews to run naked through the streets? "One of the children of the Church?" Tell Pio "I am Tradition" Nono that "you are just a child of the Church". What is a Church Council that mandates that Jews dress differently, to live in ghettos, and that prohibits them from owning land or from practicing certain occupations? There are centuries-worth of popes telling us that no pope can be judged by any man etc. ; Now John Paul wants to go around "apologizing" for "children". You are the one "trading on an equivocation". The "theological distinctions" you rely on are not enough of a degree of separation to disassociate the tree from its fruit. Your spirit of contentiousness does not model Christian charity. Occasionally, bloggers on Beggars All complain that only angry, triumphalist Catholics frequent this website. But it is precisely the attitude expressed in this conversation which drives away people willing to have an honest conversation, where generally all interlocutors have something to concede. It is clear that you don't really want to persuade me; you just want to make assertions and ignore the attempts that I've made to address your perspective and the evidence for it that you've offered. As far as the point you made, this particular statement of Pius IX was not said in a formal context, but I'll fully admit that it wasn't far from his attitude. But this nineteenth-century triumphalism was significantly challenged by the Second Vatican Council, as I'm sure you know. Find me one modern ecclesiologist (refer, say, to Cardinal Dulles' Models of the Church or any work of Congar) and find confirmation for the notion that the Pope *is* the Tradition. You won't. I have no doubt that Benedict XVI would say that he sees himself as a child of Mother Church. Why don't you write him a letter and ask him? Lateran IV is a representation of the institutional Church that has historically been, to say the least, tainted by sin. I have no problem admitting that. It created a space for evils committed by Christians against their fellow men, even when you put the Council in its context (see Thomas Madden, e.g.) That is bad. Lateran IV is not coextensive with the Church that is without spot or wrinkle. If you think this is a sub-Catholic view, then so be it. It is what I believe. For this reason, I'm still not sure where we disagree exactly. Because of your deep hermeneutic of suspicion (suggested, inter alia, by your gloss on Benedict XVI's statement), it is really not worth continuing this conversation. Some basic trust is necessary for genuine communication. If that would somehow change, I'd love to take this discussion further. To be "a glorious Church not having spot or wrinkle" is the ultimate end to which we are brought by the Passion of Christ. Hence this will be in heaven, and not on earth, in which "if we say we have no sin, we deceive ourselves," as is written (1 John 1:8). Your spirit of contentiousness does not model Christian charity. Rome's official denial of any responsibility at all for the Holocaust does not model Christian charity. Occasionally, bloggers on Beggars All complain that only angry, triumphalist Catholics frequent this website. But it is precisely the attitude expressed in this conversation which drives away people willing to have an honest conversation, where generally all interlocutors have something to concede. We've discussed it here before: your personal willingness to concede does nothing about that official denial of responsibility. It is clear that you don't really want to persuade me; you just want to make assertions and ignore the attempts that I've made to address your perspective and the evidence for it that you've offered. What I would persuade you of is something that you are most unwilling to concede. As far as the point you made, this particular statement of Pius IX was not said in a formal context, but I'll fully admit that it wasn't far from his attitude. But this nineteenth-century triumphalism was significantly challenged by the Second Vatican Council, as I'm sure you know. It's not just "triumphalism" that needs to be significantly challenged. A "significant challenge" after all, does nothing to show repentance, does nothing to take "the triumphalism" off the books. Your opinion in this matter really means nothing. Why don't you write him and ask him? You seem to have his email address. And then let me know what he says. Lateran IV is a representation of the institutional Church that has historically been, to say the least, tainted by sin. I have no problem admitting that. It created a space for evils committed by Christians against their fellow men, even when you put the Council in its context (see Thomas Madden, e.g.) That is bad. Lateran IV is not coextensive with the Church that is without spot or wrinkle. If you think this is a sub-Catholic view, then so be it. It is what I believe. I'm heartened that you think you can disagree in this way. But really, we are not talking about "space committed for evils committed by Christians," -- we are really talking about officially-sanctioned evil, by a Church which wants to hide under both "infallibility" and "Ephesians 5:26. What I'd like you to say, is that the Roman Catholic Church cannot be infallible, not even under its own strictly-delineated rules for infallibility, given its behavior across the centuries in this whole situation. I would agree that that is a "catholic" view. As far as a "deep hermeneutic of suspicion," well, Rome has repeatedly been dishonest in these things. I'd say suspicion is called for. Let Rome demonstrate its own basic trustworthiness. It is "the Mother" after all. Lateran IV is a representation of the institutional Church that has historically been, to say the least, tainted by sin. By the way, isn't "Lateran IV" the council that defined the doctrine of transubstantiation? I'll make it easy for you. Yes it is. Just where, down the middle of that council, do you want to draw the line between "tainted by sin" and, uhm, an infallible council of the Church? I don't need your help to make things "easy" for me. But who needs to start the trading in credentials? You know well the distinction between the definition of a doctrine and the historically situated counsels about how Jews should live in Christian society. I know that you don't buy that distinction (based mostly on assertions and hand-waving about what is or is not biblical). OK, end of discussion. You haven't even tried to persuade me of anything. I'm also saddened that any rebuke about Christian charity is just deflected back to your flawed perception of Rome. Look, you aren't talking to Rome; you are talking to me. I have given you no reason to treat me uncharitably, whatever might be said of the Roman Catholic Church. If you see Eph. 5:26 as an attempt to hide, so be it. You are not interested in a genuine conversation. And I really don't have time to be lectured at by you. Are you Matt Yonke of Called to Communion? Then I apologize for automatically attributing bad motives to you. (You might still have bad motives but I shouldn't automatically attribute them.) You Catholic guys who go by the simple handle "Matt" should find some way to distinguish among yourselves. That said, you started off here accusing me of having "stacked the deck" without having noticed that I devoted the first two posts of this series to what is essentially the Roman Catholic response to this whole issue. And you want me to turn off the "hermeneutic of suspicion" and just acquiesce to your accusation? I didn't realize that this had so soured the waters. You should have said so earlier. I acknowledged that I hadn't read the earlier posts. When you informed me of that, I noted that I was very happy to hear this. I should have probably gone further and issued some sort of apology. I wouldn't want you to acquiesce to an unfair accusation, which this was since you did address the subject of the Catholic critics. My statement about the 'hermeneutic of suspicion' was not really in regard to me but Catholic officials. You see an apology and see a mental reservation or a dodging of responsibility, where I see it as an acknowledgement of a kind of solidarity with the sins of our past as Catholics, nuanced in such way as to avoid buying too strongly into problematic notions of collective guilt (that undermine the fundamental principle of individual responsibility for sin) or ecclesiological views that take away from the fact that the Church (in some sense of the word) is that which is redeemed by Christ, etc., etc. Again, I apologize for that initial comment which I didn't mean as a full-out accusation. I honestly didn't realize that, as the conversation went on, I had spoiled the possibility of sincere communication. Sorry again. "Rome's official denial of any responsibility at all for the Holocaust does not model Christian charity." That's a pretty harsh statement. Yes, there was anti-semitism within the Church. Yes, there was anti-semitism in Europe. Yes, it still exists today. Is it wrong? yes. Is it intrinsically evil? Yes. Were there Pope's who were anti-semitic? Yes. Does that mean the Church is evil? NO!!!! That would be the equivalent of me denying my US Citizenship because of Thomas Jefferson's positions on slavery or because of the Teapot dome scandal or Watergate or any of the myriad of scandals that occur even today. Does that even make sense? I will concede that there were anti-semitic Popes if you can concede that there none of these Popes changed Catholic doctrine. That's the key point. Did any of these Popes--or any Popes change the doctrine to conflict with Catholic teaching from the first century? "You will recognize them by their fruits"
From the Wikipedia Page, "Christianity and antisemitism." It gives SPECIFIC REFERENCES to each of these Popes and how they decried anti-semitism. There's also reference to the Sicut Judaeis was endorsed by many Popes which set out the official position of the Papacy regarding the treatment of the Jews. It specifically forbade violence against the Jews. As I said, I don't have time to read through all of this (I really shouldn't even be engaging in this discussion), so can you point out to me where Vatican officials directly supported the notion that Jews as a race of people were inferior to other human beings, as it were, by their blood. Thanks. “...racial legislation was introduced to 'purify' the upper regions of society. Statutes of limpieza de sangre were passed banning descendants of Moors and Jews (especially the latter) from universities and religious orders. The Inquisition effectively controlled their enforcement and progressively extended their scope.” Paul Johnson, “A History of Christianity”; 1976, p. 306. This idea became inbred into Catholic culture. Up until 1965, one entering the Jesuit order had to prove – back four generations – that he had no Jewish blood in his ancestry. Now you may object that this isn't direct evidence of Vatican involvement, so a couple of further points need to be made. First, the Vatican did not hold sway over national churches then as it does now so it is not appropriate to expect a matter of faith and practice to originate in Rome; and secondly, when these same Jews were expelled from Spain and moved to Italy, no Popes for the next 400 years repealed – or even modified - these laws. I know a bit about limpieza de sangre. I think that these do certainly connect anti-Judaism to "family inheritance." Now, the motivation for them was quite different than Nazi racist doctrines that Jews were sub-human. The (still wrong and bigoted) idea was that the descendants of converts from Judaism were sub-Christian, that is, their conversions and those of their ancestors who passed on Jewish practices, etc., were looked on with great suspicion... This partly resulted from the fact that the conversions were more or less "forced," and certainly because they played on bigotries towards Jewish people based in economic and other factors. This point is confirmed quite clearly by the fact that limpieza de sangre statutes (which, by the way, were opposed by a good number, though (unfortunately) not a majority, of theologians) *also* included that one could not have a **heretic** in one's lineage for four generations. These statutes thus were clearly linking one's lineage to loyalty to the faith. Linking Judaism and heresy like this only makes sense of religion was key here. Again, I repeat that these statutes are bigoted and are dealt with today as a shame upon the religious orders who adopted them. Ask a modern Jesuit about them; they might start crying! But, look, I will acknowledge, given the limited nuance possible on a blog, that these statutes are probably good enough to meet a broad definition of "racialist," even if we must recognize the differences with the ideology that underlay the Final Solution. I'd be happy to send PDF's where the debate about limpieza and scientific racism is undertaken by historians. As for the Roman Ghetto, this also reflects bigotry and a profound lack of respect for our common humanity--indeed, more than common humanity in the case of the Jews! But slavery doesn't seem like the most accurate word for it, though. And we must recognize that, at a certain point in the sixteenth century, these were some of the very few areas in Europe where Jews were allowed to dwell at all. They had been completely expelled from England, France, Spain, etc., in the centuries preceding... Thomas Madden and others make this point. Again, that doesn't make how they are treated right, by any means. I need to keep plugging away on my other writing, but I wanted to say that my last comment has not sat well with me. If people said today the things that treatises defending limpieza de sangre said, there would be no doubt that we would call them anti-Semites and racists, etc. I don't think that "context" justifies these comments really, except to say that they were widespread (so the person uttering them may not be considered, automatically, a despicable person). But the fact that such views were so widespread is indicative of a kind of deep-seated social sin, to the extent that such sins exist. Being an anti-Semite does not make one Hitler, of course. Is the fact, though, that the racist ideology which provided the backdrop for his evil actions had pseudo-scientific foundations (social Darwinism, etc., etc.) so fundamental to our moral outrage. Does it really matter that limpieza de sangre statutes were not grounded in "scientific racism?" As I've thought about it, I no longer really think so. This is, indeed, a terrible wound on Western Christianity's memory. This is particularly true for Roman Catholicism given, as Bugay has suggested, the claims that it makes for itself, etc. Thanks for your thoughtful response(s). I'm in a bit of rush today but I hope to digest them tomorrow. Please have a blessed Lord's day.